This document describes the current observational capabilities and possible observing time of the East-Asian VLBI Network (EAVN), and is a supplementary document to the KaVA Status Report . EAVN is the international collaborative VLBI array operated by Korea Astronomy and Space Science Institute (KASI), National Astronomical Observatory of Japan (NAOJ), Shanghai Astronomical Observatory (SHAO; China), and Xinjiang Astronomical Observatory (XAO; China). EAVN invites proposals for open-use observations to be carried out from September 1, 2018 to January 15, 2019 (2018B semester). The total observing time of 100 hours is provided for EAVN open-use operation to proposers, while the available machine time of each telescope is different between each other. Refer to Section 3 for more details. 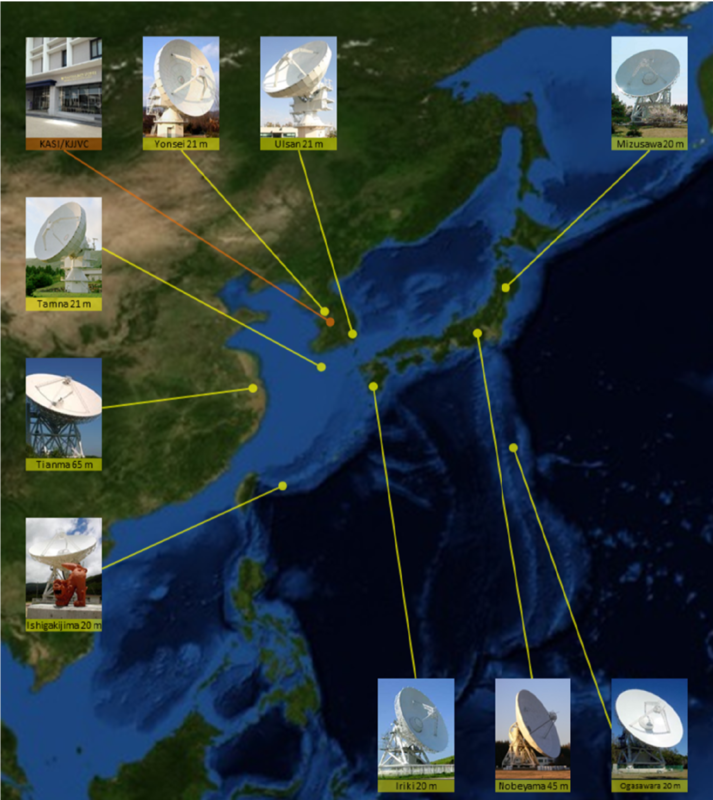 In 2018B semester, EAVN is operated using 10 telescopes, 7 telescopes of the KVN and VERA Array (KaVA) in Korea and Japan, Nobeyama 45-m telescope in Japan, Tianma 65-m and Nanshan 26-m telescopes in China, while Nanshan is absent from this call. Nanshan telescope will join in Large Program (LP) observations for technical commissioning in 2018B semester and will be operational for open use in 2019. Figure 1 shows location of EAVN telescopes which participate in open-use observations of EAVN in 2018B semester. This status report mainly summarizes general information of EAVN, brief summary and the performance of Nobeyama 45-m and Tianma 65-m telescopes, and how to prepare and submit proposals for EAVN. Refer to the KaVA Status Report , as well as the KaVA webpage (http://kava.kasi.re.kr/), for more details about KaVA. Figure 1: Location of EAVN sites, including the Korea-Japan Correlation Center at KASI, Korea, overlaind on 'the Blue Marble' image (image credit: NASA's Earth Observatory).